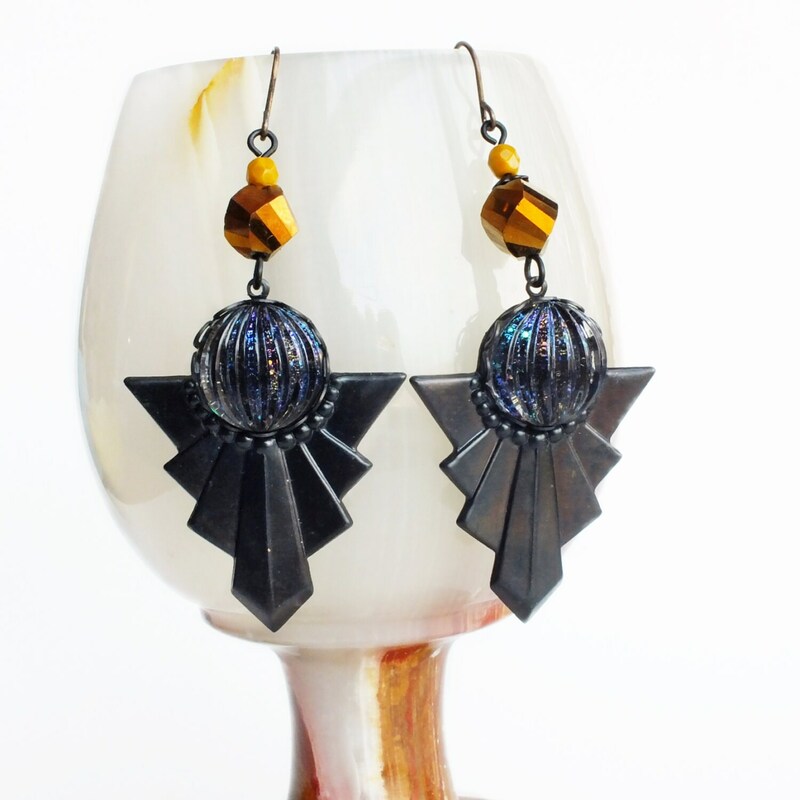 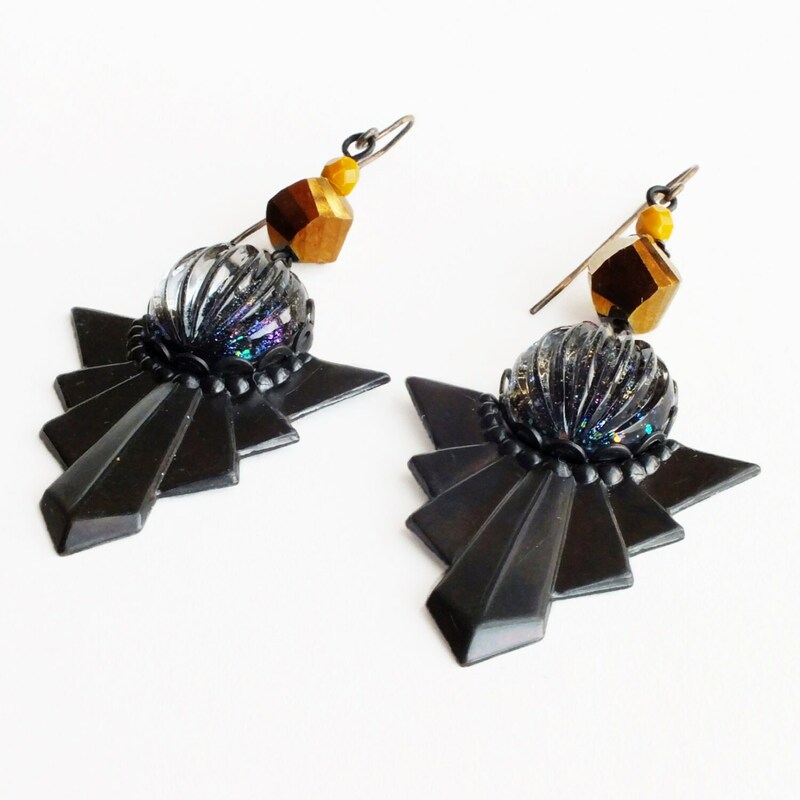 Handmade Art Deco earrings with large oxidized brass triangles and black glitter glass. 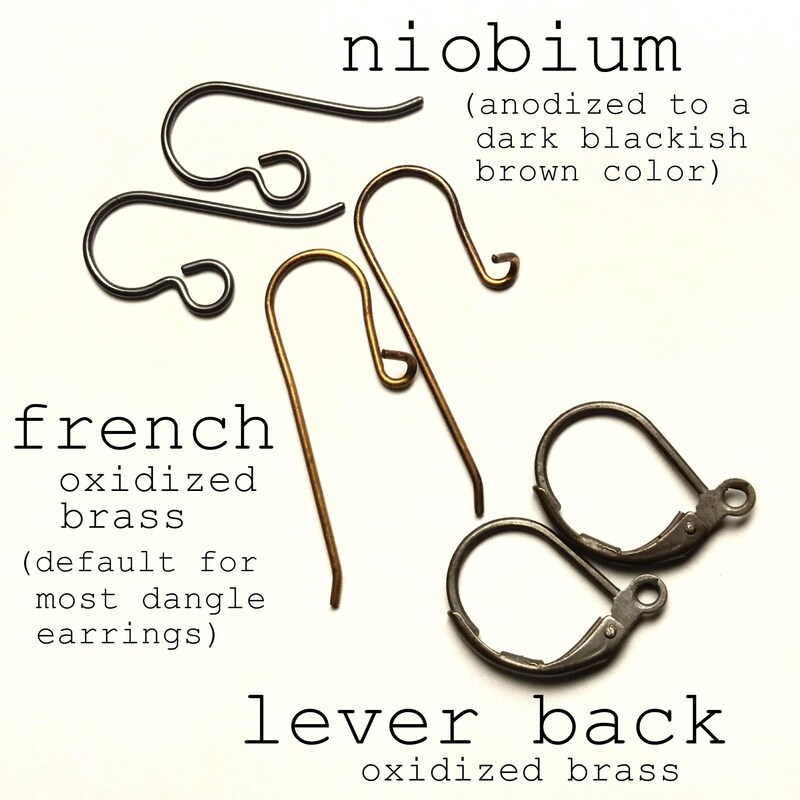 US made high quality brass, settings and ear wires. 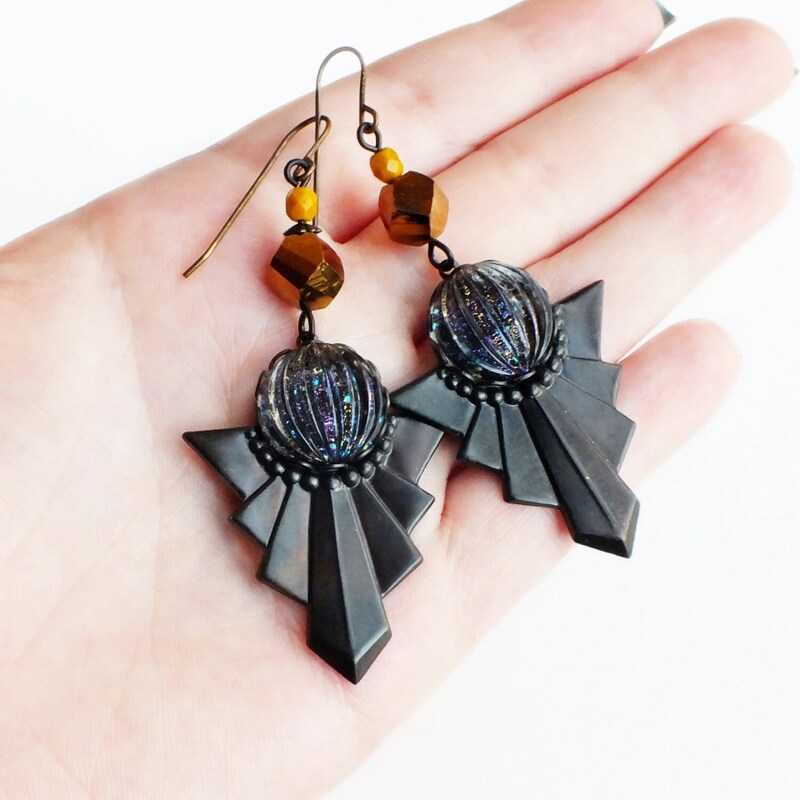 Made with extra large oxidized brass triangular Art Deco 'shields' I antiqued to a smoky almost black patina. 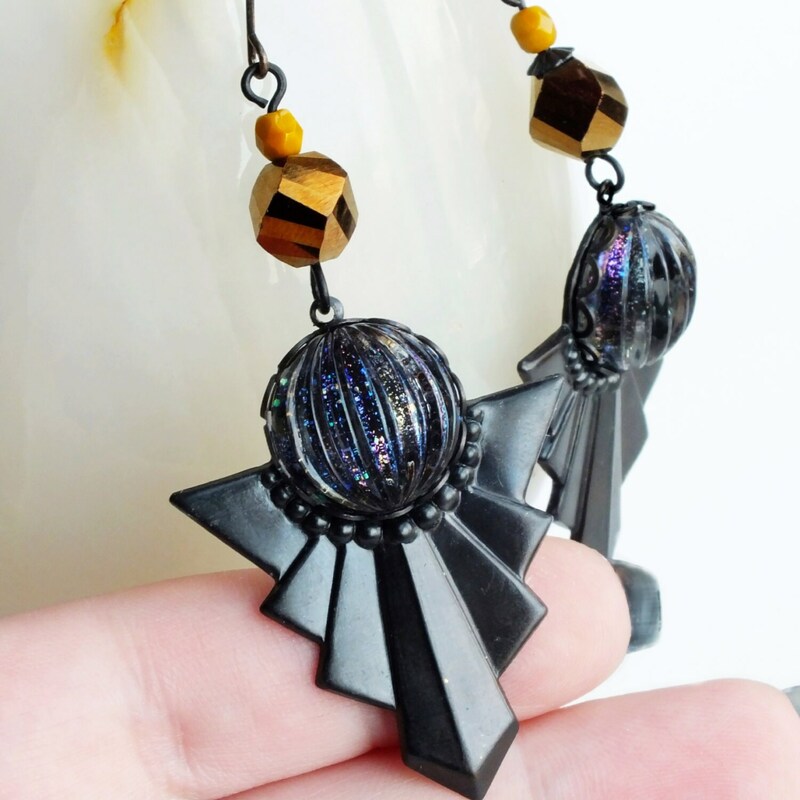 I adorned them with clear vintage glass cabochons I reverse painted with sparkling holographic rainbow glitter over black. 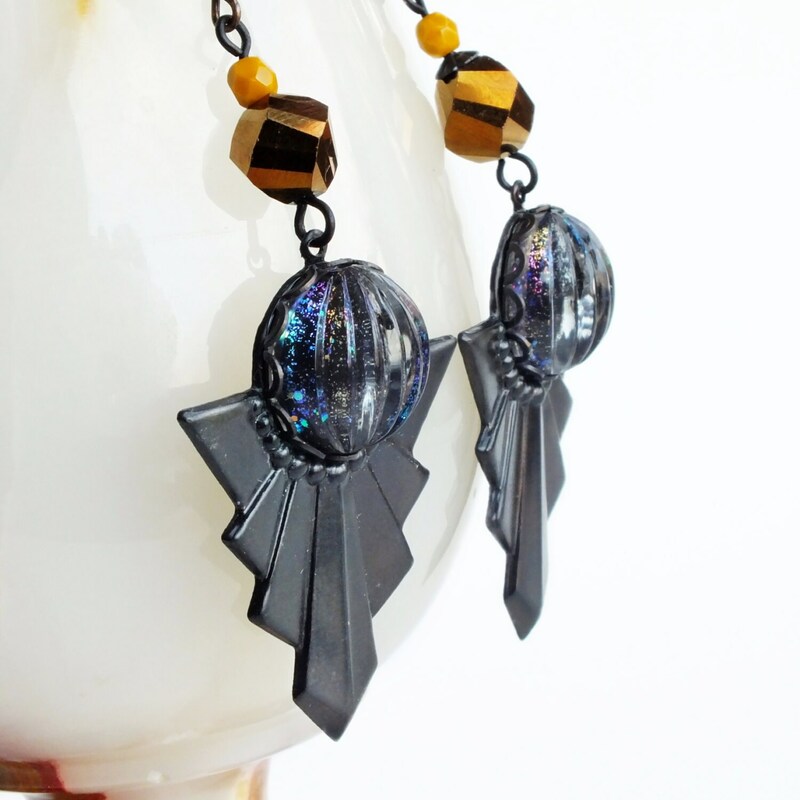 Topped with vintage mustard and bronze glass beads.